Investing Series: What is a mutual fund? | Save. Spend. Splurge. Home › Money › Investing › Investing Series: What is a mutual fund? Investing Series: What is a mutual fund? Mutual funds sound scary, but they’re not. Mutual = A Group, Fund = Group of Stocks. It’s handy to know what it is at its very core. A mutual fund is usually offered by banks, and let’s people basically pool their money together to be able to buy a wide variety of stocks all at once with whatever amount that they have, even though they may not have enough to buy each stock individually. In short, it’s a bunch of people buying a bunch of stocks by way of group purchasing via a mutual fund that they otherwise couldn’t afford on their own. Mutual funds are offered by banks and financial institutions. Financial institutions is a nice, vague way of saying “any company that deals with money”, and could include investment-management firms who aren’t necessarily banks, but are money managers. WHO CAN BUY MUTUAL FUNDS? Anyone who is a client of the bank or the financial institution offering the mutual fund you want to buy. If you’re a TD Bank customer, you can only buy TD mutual funds. You can’t decide to buy ScotiaBank mutual funds unless you’re also their client and have an account with them. *For you more advanced investors out there, I know they don’t just represent Food or Tech. I’m being glib with this example. If you were to buy ONE share in each company, it would cost you: $1351.58 in total. But let’s say you only had $1000 to invest, and you’re $351.58 short. You’d have to now choose between which stocks you wanted to be able to buy one share of each, and you wouldn’t be able to buy all the ones you wanted to be properly diversified across the Food and Technology sector. In addition, you may also not be the only person who wants to buy all 4 shares but only has $1000, let’s say there’s another 100 folks who want to do the same thing, and are all in the same bind as you are. You’d all be best to pool your money and buy your $1000 worth of 4 shares, wouldn’t you? This is where a bank comes in and offers a mutual fund to do exactly that. Hey let the bank take care of pooling all of your money together for you, to do a little group buying for you. We’ll even professionally manage these purchases for you for a fee so that everyone knows how much they own. The bank then bundles together an active mutual fund called Food and Technology that will hold those 4 stocks in the portfolio so you and other investors can purchase $1000 worth of that mutual fund, which has a little bit of each share that you wanted. NOW IMAGINE IF YOU HAD TO DO THE ABOVE FOR 500 STOCKS? If you wanted to make sure you had good coverage and diversity on the stock market, you might be inclined to buy one of each stock, in each industry, of all different sizes (big, medium and small). So imagine if you had to buy about 500 – 1000 stocks to do that — it would cost you a fortune! This is where mutual funds come in handy — you can buy a whole bunch of stocks and diversify your money at once without actually buying each individual stock separately. HOW DOES A MUTUAL FUND CALCULATION WORK, THEN? Taking the example above, if we had 100 investors with a thousand dollars each, the Bank of Macarons would have $100,000 to be able to buy shares in those 4 particular stocks. 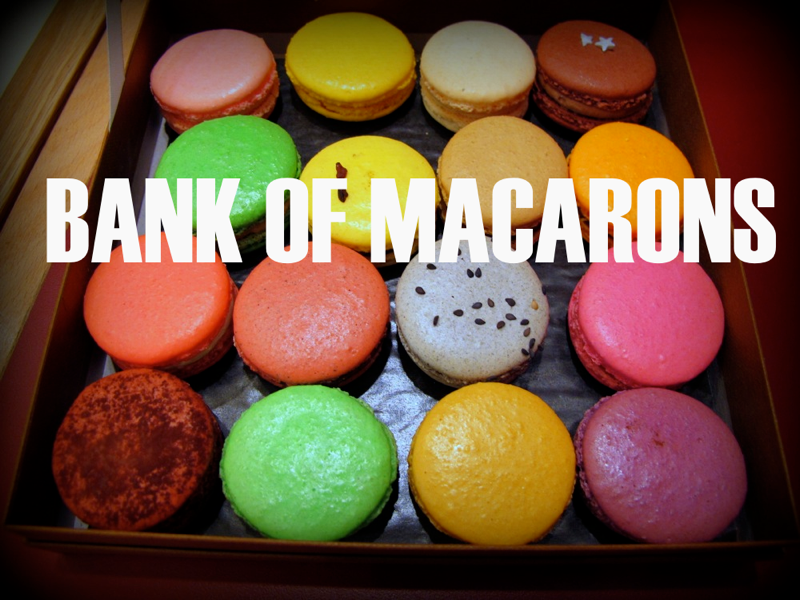 Let’s say the Bank of Macarons will put each stock at an equal 25% in their portfolio (also called their portfolio holdings) as well, so $25,000 will be invested per stock. So out of all the shares above, you don’t own a single perfect share of each company; you own $1000 worth of all of those 4 shares, by way of buying into this mutual fund. Your $1000 is represented by a number of units (kind of like shares) of this mutual fund, depending on how much this mutual fund costs. So if the mutual fund for Food & Technology offered by the Bank of Macarons costs $10 a unit, you would own 100 units, which would represent your number of shares above. WHY WOULDN’T YOU WANT TO BUY AN EQUAL AMOUNT OF SHARES IN EACH COMPANY? That’s because some stocks like Google are much more expensive than Starbucks. Buying 1 Google share would cost $704.51, but buying 1 Starbucks share costs only $54.81. You’d own a quantity of one each, but you have about 12.8 times more of your money invested in a single share of Google than you do in Starbucks. If you wanted to have a balanced portfolio, you’d be extremely unbalanced and weighted heavily towards Google in that case, and you wouldn’t have enough in the coffee business. Read: What does re-balancing a portfolio mean? Now since banks don’t do anything for free, they’ll also charge you something called a Management Expense Ratio (MER) among other (somewhat) hidden fees. 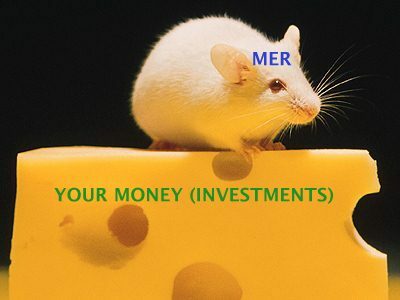 If your stocks froze just as they were in value and never went up or down, you’d see your 10 purchased units slowly decrease to 9 units and so on over time, as the MERs on a daily basis will nibble away at the value of your portfolio like a mouse with a hunk of cheese. If you want to read a little more about this detail you can wander over to: How, when and what does TD Canada Trust charge as its MER? Glad to hear it. At any rate, it’s something that needs detail or else it can’t be fully understood. I invested in mutual funds before I knew what they were. I knew the basic concept, but not how to calculate my units, etc.